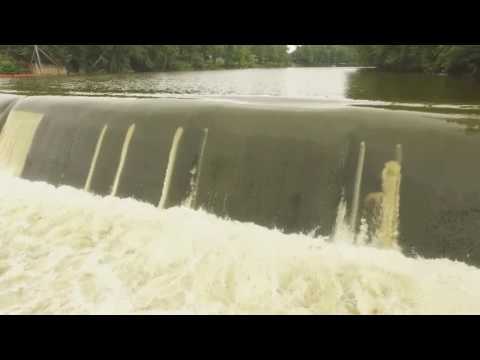 Each year, dozens of lives are lost at dams on America's waterways. People are often unaware of the dangers, or they underestimate their risk of falling victim to them. It may be a case of a simple lack of knowledge, reckless behaviors, lack of warning, or just being in the wrong place at the wrong time. Regardless of the cause or intention, outings on waterways can end in tragedy. Dams are dangerous - even for NHRA drag racer Leah Pritchett. Watch the video below to see why dams are too dangerous to take lightly, even for the biggest thrill-seekers. Larger dams are categorized primarily by the structure of the dam and the material used to build it. More information about these kinds of dams is available on our Dams 101 page here, which breaks down these dams by type and explains how they work. There can be many hazards at these dams caused by water flows, human activities, environmental factors and the structures themselves. Many of the most dangerous dams are not the massive concrete structures people often first think of when thinking of dams. Many are low-head dams, also called run-of-the-river dams or "drowning machines". 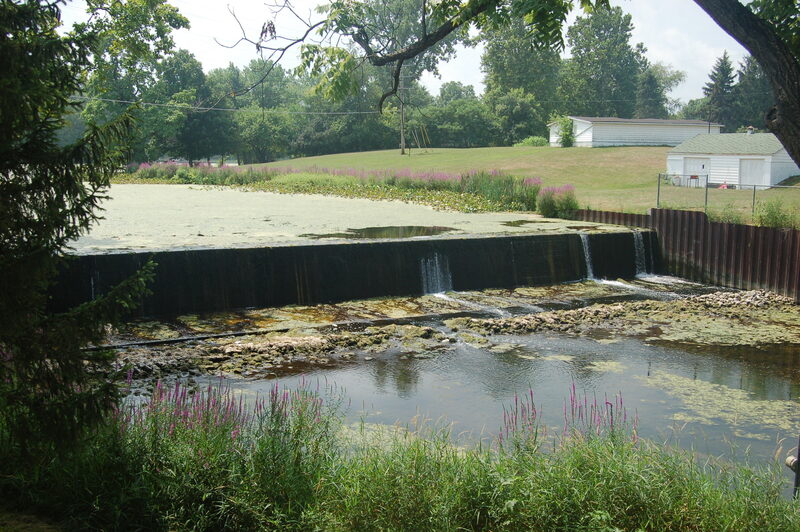 Low-head dams are dams characterized by their low height - usually with a one foot to fifteen foot drop off - that allows water to flow over the top of the dam. Below the surface, the water falling over the dam creates highly aerated, circulating currents that trap people and objects underwater against the face of the dam. These forces are a practically inescapable trap for even the strongest, life jacket clad swimmer or often boats and kayak too. 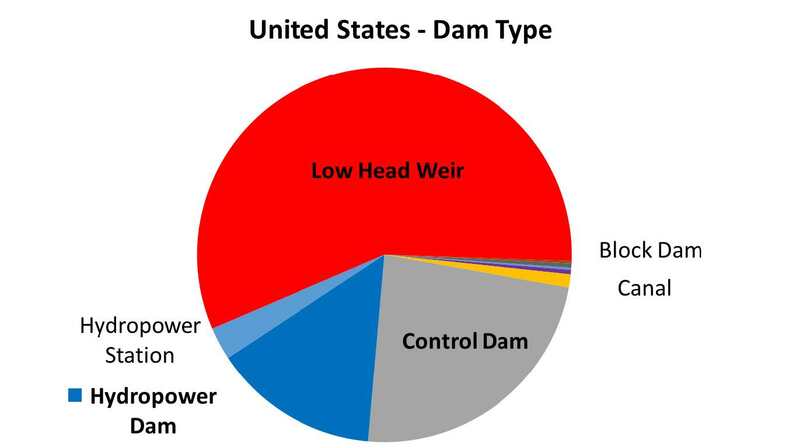 Low-head dams have a variety of purposes, including hydroelectric power generation, irrigation control, and historically, powering mills. While some dams no longer are needed to serve their original purposes, many others across the United States are still important components of our national water infrastructure. While all dams are potentially dangerous, low-head dams are especially dangerous because the water around them often appears to be tranquil and inviting. Many drowning victims deliberately jump from or float over them without knowing the risks. Others are caught unaware, as low head dams ar e notoriously difficult to spot from upstream. The victims of these dams include many would-be rescuers and first responders who lost their lives trying to save others caught in the hydraulic current. 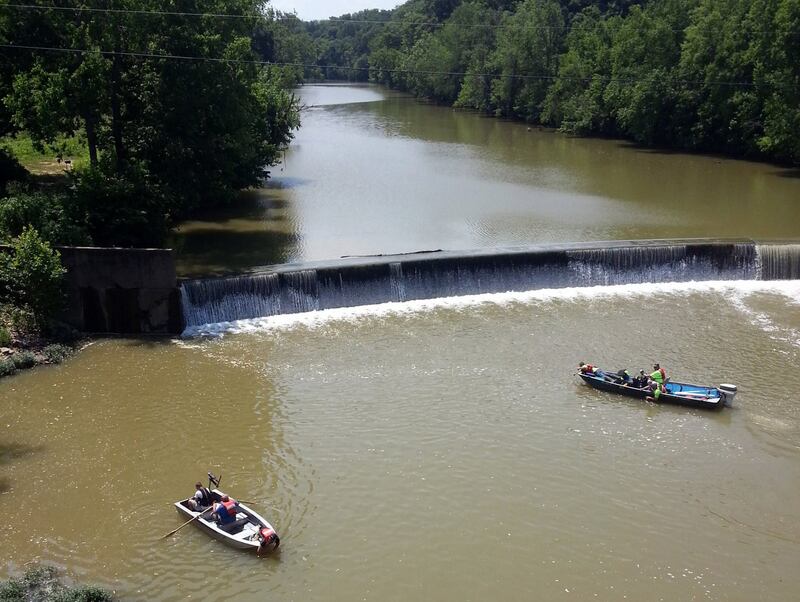 91% of drownings and other dam-related deaths occur in the period from April to August. Many people take advantage of the relatively high waters upstream from a dam to cool off or spend some time having fun with friends and family. Others take advantage of natural habitats near dams to fish. 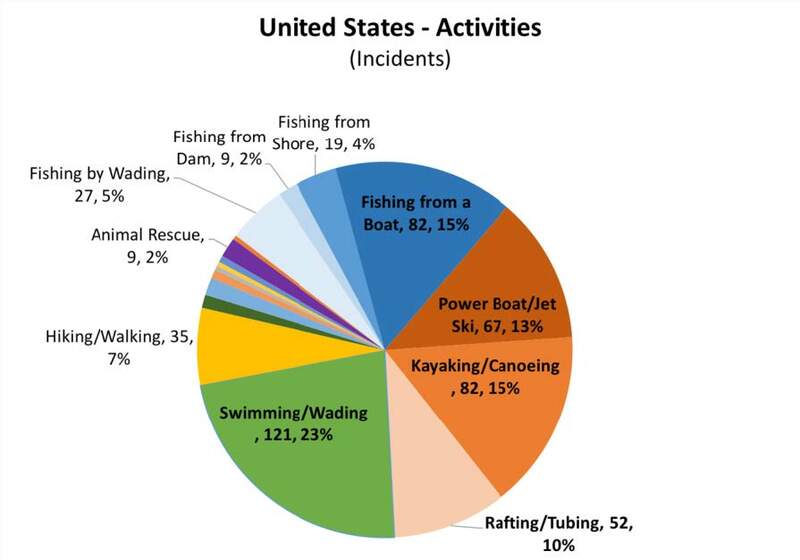 Swimming, boating, and fishing account for the overwhelming majority of incidents at dams in the United States. 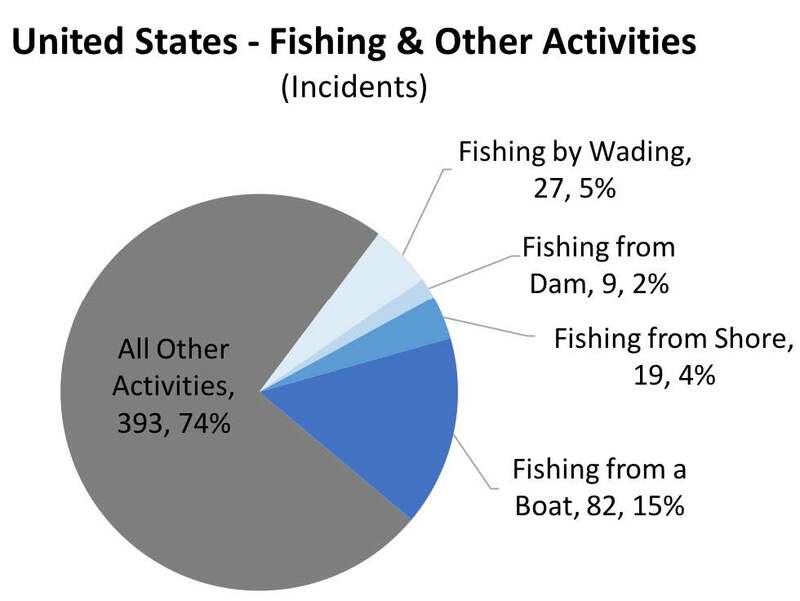 According to information collected by Tony Bennett on behalf of the Canadian Dam Association and the International Commission on Large Dams, these activities and related activities account for over 75% of incidents at dams, with fishing alone accounting for over a quarter. Research, analysis, and graphics courtesy of Tony Bennett of the Canadian Dam Association and International Commission on Large Dams. Click to learn about 16 Common Safety Hazards including hazards from water flows, human activities, environmental factors, and dam structures. It is critically important to not only understand the scope of this danger but also be aware of the many ways you can keep yourself safe and avoid a tragedy. There are a huge number of things that can go wrong near dams, seemingly small as they are, so it is always best to avoid them. Remember - keep your distance, keep your life. Always stay a safe distance away from dams both upstream and downstream to avoid drowning, and if you need to go around them, walk or portage over land to a safe distance downstream. Know the area: Check maps or speak with locals to get information about hazards on that waterway. If swimming or fishing, always remain a safe distance from the structure to avoid sudden currents. If kayaking, canoeing, or boating, always portage around the structure or turn around well before reaching the dam to avoid being pulled over. Read the signs: Obey any and all posted signage and barriers in the area, including flood warnings, restricted access signs, portage signs, or other posted signs. Dress for danger: Wear a personal floatation device (such as a life jacket) if you are boating, fishing, swimming, or otherwise recreating in or around a waterway. Tell someone your plans: Let someone know, such as a friend or family member, when and to where you are heading out, and let them know when you return so they know you are safe. If you see someone in trouble, do not enter: Never enter the water yourself to try and help someone. Instead, call 911 and use a remote assistive device, such as a rope or throw bag, to try and pull them back to safety. For more information on dams in your area, contact your ASDSO state representative. Are Dam Owners Legally Liable for Incidents, Accidents, and Failures? According to the Federal Guidelines for Dam Safety published by FEMA in April of 2004, public safety around dams is a top priority for dam owners and regulators. The guidelines read "[p]ublic safety is of paramount importance at all dams and reservoirs. Specifically, public safety on the reservoir, in areas adjacent to the reservoir, and below the dam should be considered, particularly in recreational areas. Safety measures should include identification of high watermarks to indicate past or probable reservoir levels and streamflows, posting of safety instructions at highly visible and key locations, and providing audible safety warnings upstream of and below outlets as appropriate." 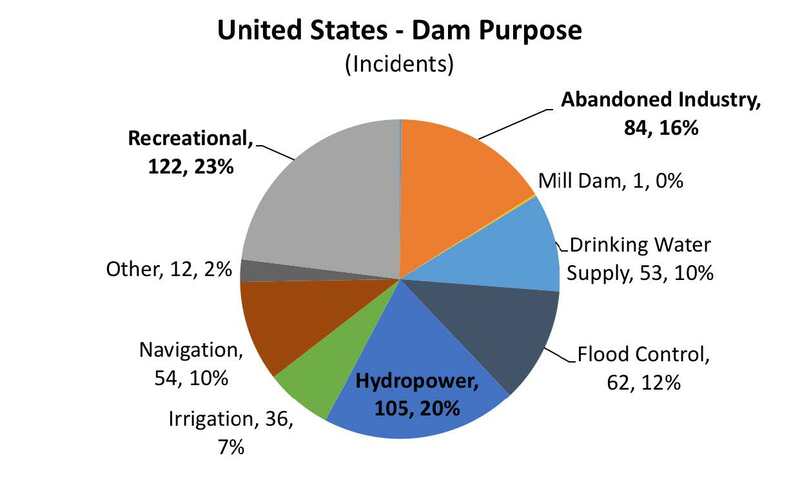 Because dam owners bear the responsibility of upkeep, they are also primarily responsible when dams fail and cause environmental, economic, and personal damage. 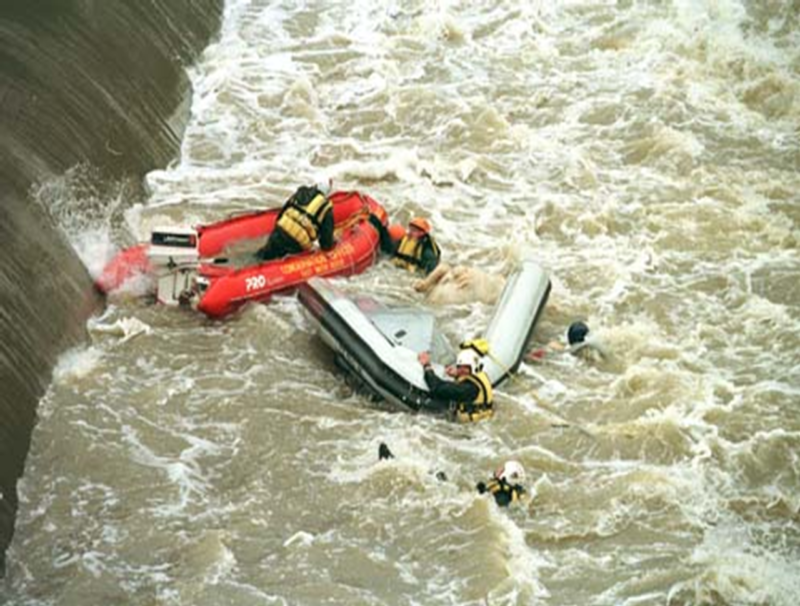 Furthermore, when a non-failure incident (such as a drowning or injury) occurs at a dam, victims and families have increasingly turned to the courts to sue dam owners for negligence. Recent developments in case law and litigation have underscored the need for dam owners, operators, and other professionals to be vigilant and proactive in efforts to secure the safety of the area around their properties. Cases such as Marston v. General Electric (2014), Suchy v. City of Geneva (2014), and Volpe v. City of Lexington (2011) have set precedent for determining liability due to negligence or inactivity regarding the establishment and maintenance of enhanced safety precautions at and around dams. Even in cases that were dismissed or determined in favor of the dam operator, the legal action can be time consuming and expensive. Because of the risks and legal liabilities involved with dam management, it is of absolute importance that owners and operators appropriately address risk and potential hazards at and around their dams. 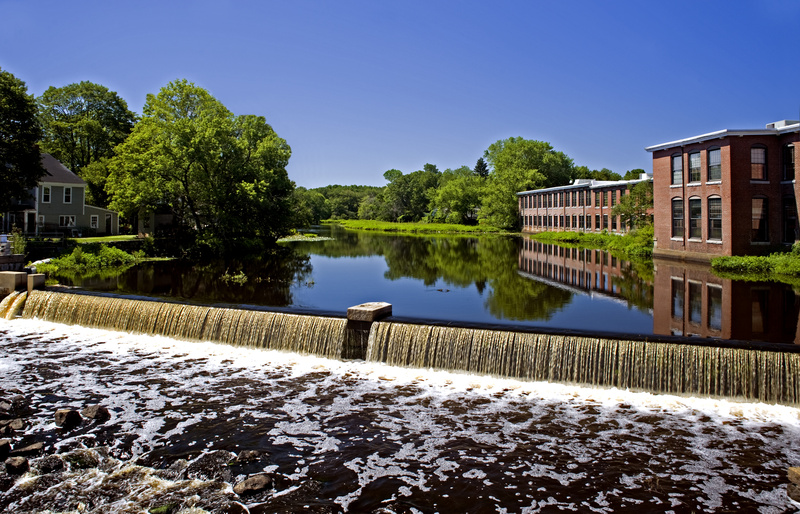 Dam owners are liable for failures and incidents at their structures. It is important for owners, engineers, and regulators to work together to manage risks and avoid or eliminate hazards at dam structures. There are a number of ways dam professionals can effectively manage risk at their dams. The guidelines developed by the Interagency Committee on Dam Safety and published by FEMA provide a strong framework within which to develop procedures that can successfully minimize risk. Fundamentally, risk management efforts should focus on the following areas. Maintenance: Make sure that all structures are inspected at least annually. 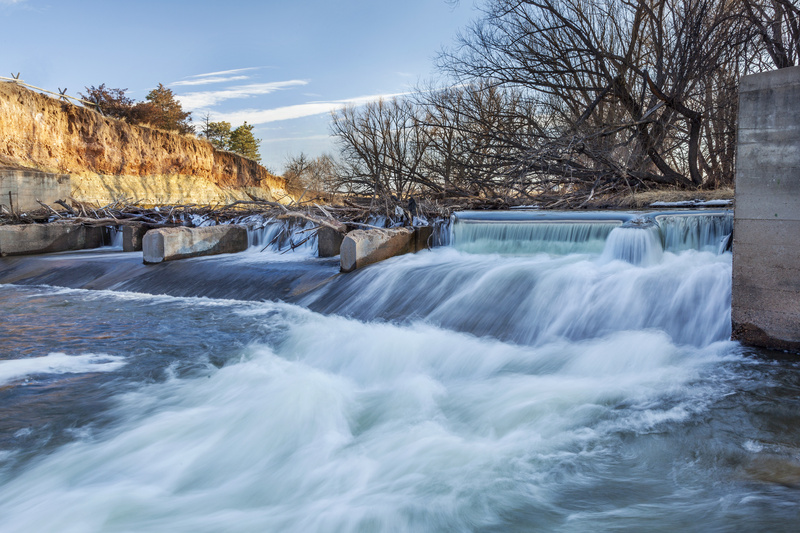 Vandalism, animal activity, plant growth, and natural erosion all have the capacity to damage or destroy dam structures and signage, creating potential hazards on site. Installation of Safety Measures: Installing appropriate signage, safety buoys and booms, and portage paths are all important ways to keep recreators and the general public away from hazard zones near dams. Public Education: Communicate with local first responders, recreation outfits, schools, and other relevant bodies to inform them of the location of dams and other hazards, encourage safe practices on waterways, and to develop standard operating procedures to follow in the event of an incident. Public Safety Reporting: Record incidents that occur at your dams in order to identify gaps, failures, and flaws in existing safety protocols and procedures. Past reports sourced from news archives or dam safety archives can also provide opportunities for corrections that can minimize unnecessary risks to the public. Social Media Monitoring: Periodically checking internet sources and social media such as Google, Facebook, Instagram, and TripAdvisor (to name a few) for location tagged posts can allow dam owners and regulators to identify how the public uses dam structures and find solutions to effectively prevent misuse and unsafe practices. As awareness about the dangers of low head dams rises, a number of organizations and individuals have decided to take action in their communities to help improve the safety of dams and ensure the well-being of people around them. These efforts are a crucial part of making sure our waterways and infrastructure are as safe, functional, and fun as they can possibly be. There are a number of ways you can be helpful in this cause. Tell your friends, family, and neighbors about the risks. If you or anyone you know is headed out to a waterway, make sure to be fully prepared. Study a map beforehand to locate potential dams and hazard locations, and always be alert for potentially dangerous situations. Get in touch with local recreation outfits such as kayak and boat rentals, hiking groups, conservation groups, and others to discuss their education programs. These groups are often the best experts in the area for knowing the location of dams and hazards, and can be great resources for making sure people stay safe around dams. Contact your state dam safety agency using the ASDSO state map to find out more about dam safety in your area. If you know the location of a low head dam in your area, or of incidents of drownings, contact your state dam safety agency and ASDSO to report it. On May 31st, we join together to commemorate National Dam Safety Awareness Day, remembering the lessons learned from past dam failures, pushing for strong dam safety programs, investing in America's critical infrastructure and rededicating ourselves to the effective public-private partnerships that work to keep America's dams safe, operational and resilient. 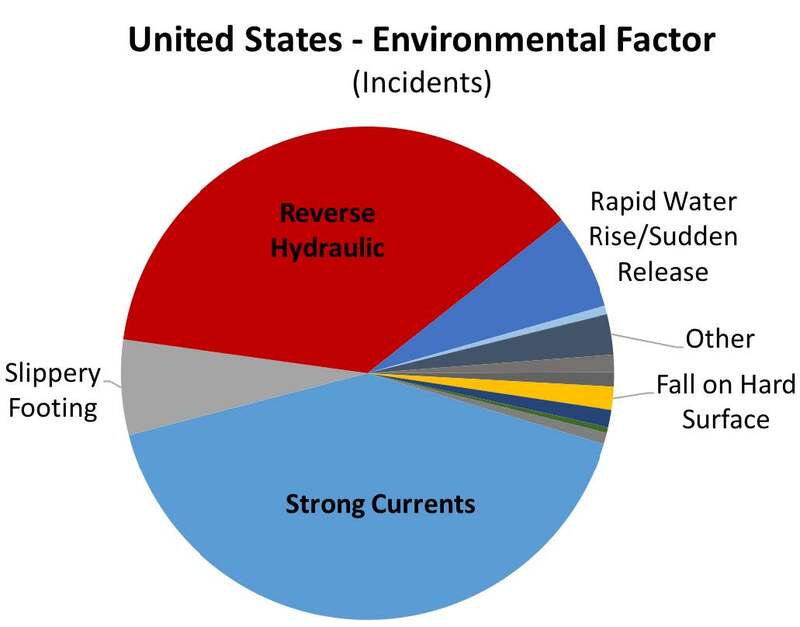 The ASDSO Public Safety Around Dams Committee tracks dam incidents in the United States that are reported in the news. To report an incident email Katelyn Riley at KRiley@DamSafety.org. In 1980, Ohio DNR Officials were surprised to learn that in two years nine firefighters and police officers in that state lost their lives in fast-water-rescue attempts. A PSD Diver died during this training exercise (Source: Over, Under, Gone video, Indiana Silver Jackets). Links to additional resources including papers, reports, videos, guidelines, and databases are available on our Additional Public Safety Resources page. Answers to the most common questions about safety around dams are available on our FAQ page. There you can find information about the hydraulic roller, why dams are built, dam maintenance, and simple ways to stay safe around dams. No individual has meant more to the formation of the Association of State Dam Safety Officials (ASDSO) and to the development of a national dam safety effort than Dr. Bruce Tschantz. He was a true leader within the dam safety community, sharing his expertise through teaching, writing, committee work, mentoring and initiating industry efforts to raise awareness of safety around dams. The 'public safety around dams' portion of this website is dedicated to him.